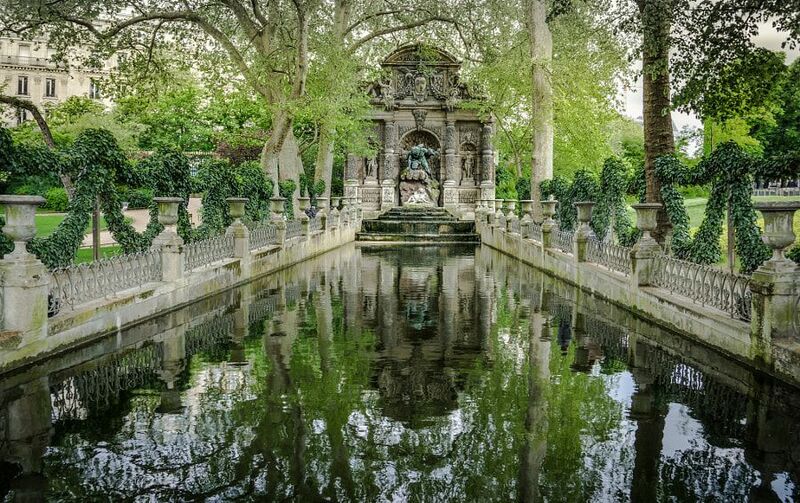 Medici Fountain – Luxembourg Gardens, Paris - Together, We Make Memories! The Medici Fountain in the Luxembourg Gardens was created By Marie de’ Medici, the widow of King Henry IV of France and regent of King Louis XIII of France. The two lovers in white alabaster are Acis and Galatea, The verdigris cyclops is Polyphemus.This fine art image by Pat Kofahl is available in multiple sizes on paper, canvas, metal and plexiglass. Prices start at $49.00!